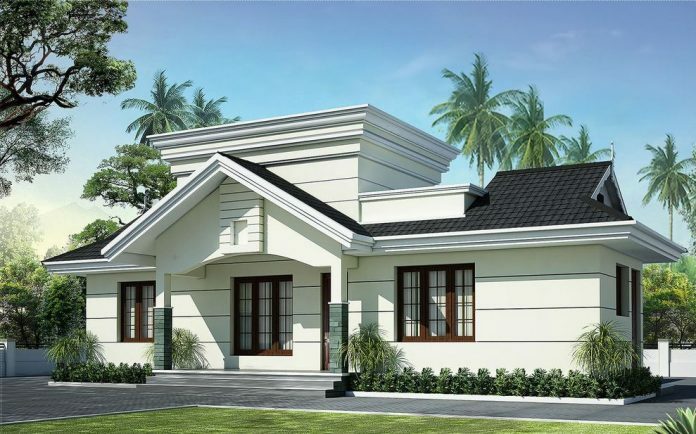 Kerala Small Budget Home Plans ,Kerala is the one of good place in India geographically and also economically. Kerala’s land and climate is suitable for all type peoples. Because of that peoples like to make house in Kerala. 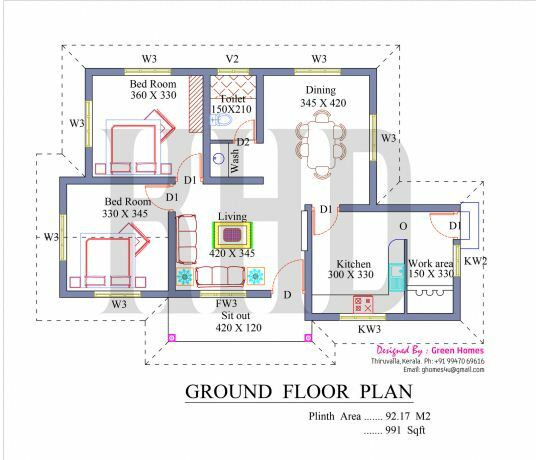 All the peoples always looking for low cost houses.Here we introduce one building plan which is very low in cost. Its a small house which have 991 sq ft and is designed by the famous builders named green homes in thiruvalla, Kerala. 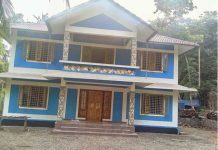 Its a very beautiful house designed by green homes thiruvalla. Its a 2 BHK Home designed very attractively.